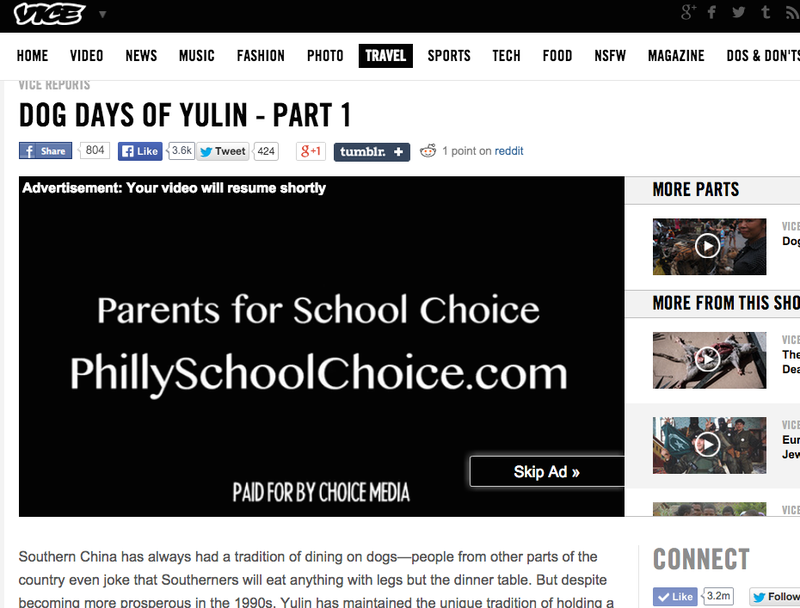 I then thought it was interesting that an organization that describes itself as “an effort to bring together groups of parents and taxpayers who believe that school choice should be a reality for all families in Philadelphia” would have the creative mindset to use VICE as an advertising outlet. Then I read the fine print. What’s the old saying go? The devil is always in the details? Well, that’s exactly the case here. At the bottom of the site for the Pro-Charter school organization you’ll see “© 2014 Choice Media.” “Choice Media is a non-profit education news service, devoted to covering all facets of K-12 education policy” according it’s site, but not really. Conservative tax reform advocacy groups even held viewing parties for the film. I could site here and go on and on and on about how there are some serious problems with charter schools, but I won’t. The sting is still wearing off from yesterdays School Reform Commission’s cowardly decision to nix teacher contracts. I just wanted to point out that VICE showed Philly a little love, in a very Philly LOVE kind of way. Maybe. Sort of. I do also strongly recommend watching the documentary about dog eating in China.